The Firehouse: Ulthar, Scorched, Ectovoid. 8 p.m. The Nick: Brent Cowles, The Magic Math, Matthew Carroll. 9 p.m.
Brennan’s: Emerald Empire Band. 8 p.m.
Mom’s Basement: No Sun, Modern Color, Fauxdeep. 8 p.m. 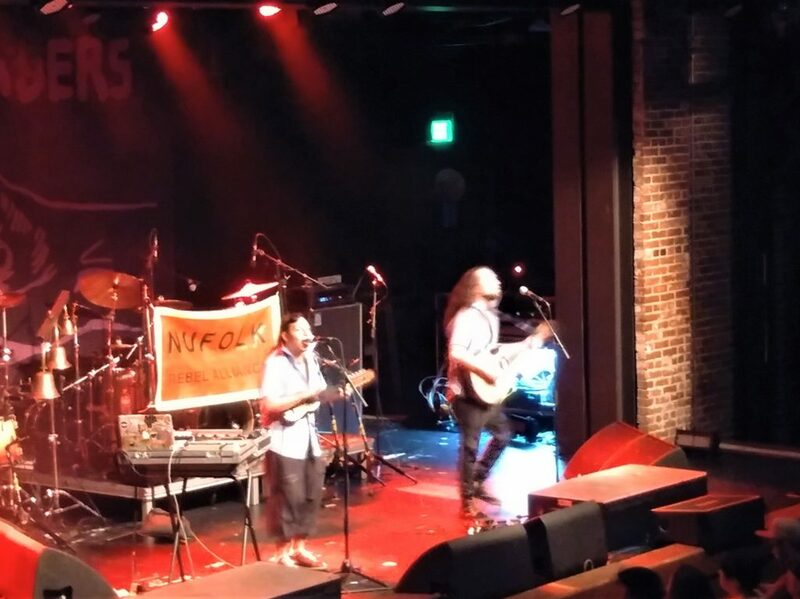 The Nick: The Hollow Roots, Far From Final, Amacio Favor. 10 p.m.
Tin Roof: Locash. 7:30 p.m.
Iron City: Maggie Rogers, Melanie Faye. 8 p.m. The Nick: Cortez Garza, Rebecca Egeland, Cheyloe. 10 p.m.
Zydeco: As I Lay Dying. 7 p.m.
Avondale Brewing: Ice Station Zebra. 5:30 p.m.
BenJammin Sports Grill: Chris K. Davidson. 6:30 p.m.
Brennan’s: Natalie Valentine. 7:30 p.m. The Firehouse: Big Lo. 8 p.m. The Nick: Beitthemeans, Bohannons (Album Release Show), Sweet Dog & Elliott. 10 p.m.
Saturn: The Coathangers, Chico, The Bouquets. 9 p.m.
Zydeco: Dirty Honey, Goodbye June, Red Sun Rising. 8 p.m.
Brennan’s: Chad Fisher’s Swing Band. 9:30 p.m. The Firehouse: Soul Desert, Boss Rush, Wax Fu, Retro Chan. 7 p.m.
Moe’s BBQ: The Gamble. 9 p.m. The Nick: Captain Kudzu, Timber, Me And My Knife, Bitter Calm. 9 p.m.
Rojo: Sol Musica. 8 p.m.
Saturn: Mandolin Orange, Charlie Parr. 9 p.m.
Tin Roof: Hudson Moore. 7 p.m.
Tin Roof: Wayne Harper. 10:30 p.m.
Avondale Brewing: Todd Simpson and Mojo Child. 12 p.m.
Black Market: The High Fidelics, Pink For President. 5 p.m.
Brennan’s: Marc Gunn. 7:30 p.m.
Cahaba Brewing: Jackson Walls. 3 p.m.
Ghost Train: Captain Midnight Band. 8 p.m.
Grey Bar: Rebel. 9 p.m.
Iron City: Total Assets. 8 p.m. The Nick: Skeptic?, Pinky Doodle Poodle, Dirty Scavengers. 10 p.m.
Southern Kitchen: Vibeville. 3 p.m.
Tin Roof: Talking Animals. 10 p.m.
Zydeco: The Crystal Method. 9:30 p.m.
Avondale Brewing: TUB. 2 p.m.
Cahaba Brewing: Community Drum Jam. 4 p.m.
Iron City: Dark Star Orchestra. 8 p.m.
Little Savannah: Bailey Ingle, OutShine. 11 a.m.
Saturn: Boogie T.Rio. 8 p.m.
Are there other shows here in Birmingham that we should list on this week’s calendar? Send the details to tom@magiccitybands.com. Be sure to include the venue, day, time, and the names of all the other acts playing.